So I had another cake idea! Have I ever mentioned how much I LOVE cake?! Well if not I LOVE cake!! 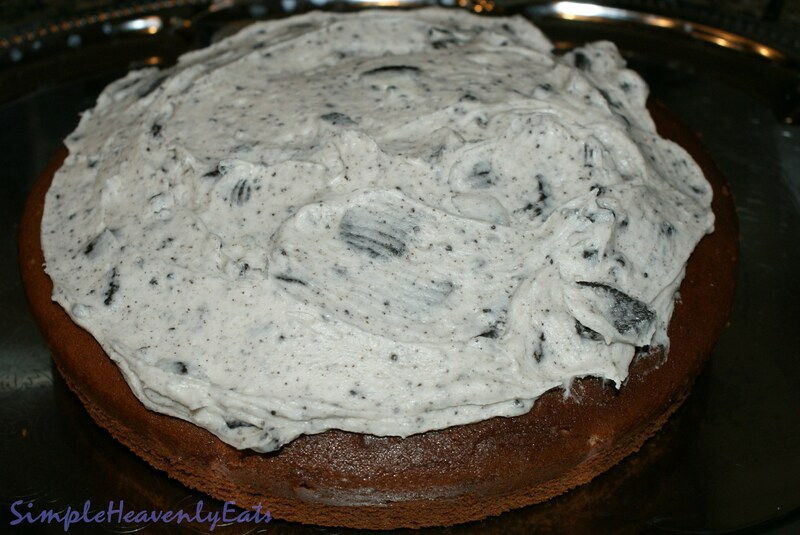 I wanted something different for Easter so I thought how yummy would a chocolate cake be with cookies and cream frosting!? It came out awesome, though next time I have to remember how fast my new double ovens cook because it was drier than I like, I like moist moist cake! But it was still good and the frosting was soooo good! 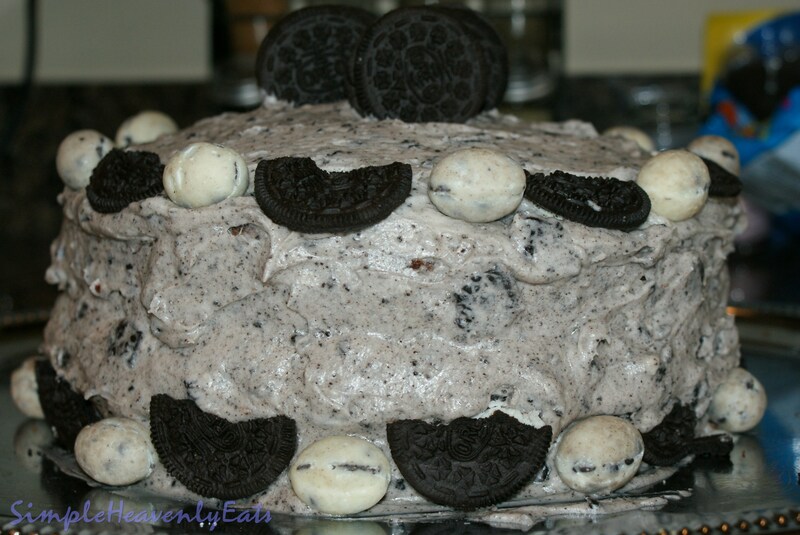 So this is what I did to make this yummy creation! In a large bowl beat butter, baking powder, sugar, & vanilla on high for about 3 minutes or until fluffy. Add eggs one at a time beating well after each one. Add baking cocoa and mix. On low speed beat in flour in 3 steps alternating with milk just until blended. 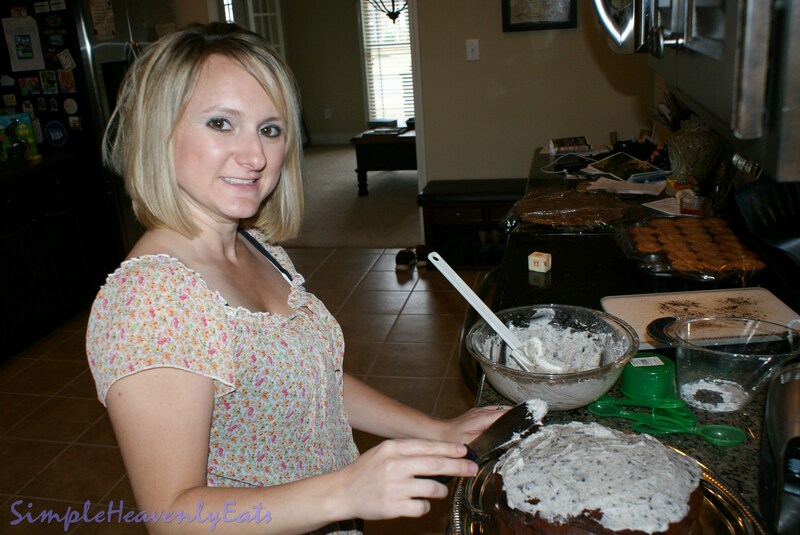 Pour the mixture into 2 greased round cake pans equally. Bake at 350 for approx. 30 minutes or until toothpick inserted comes out clean. Let partially cool then remove from pans onto wire racks to completely cool before frosting. In a large mixing bowl combine the sugar, butter, milk and vanilla together until smooth. 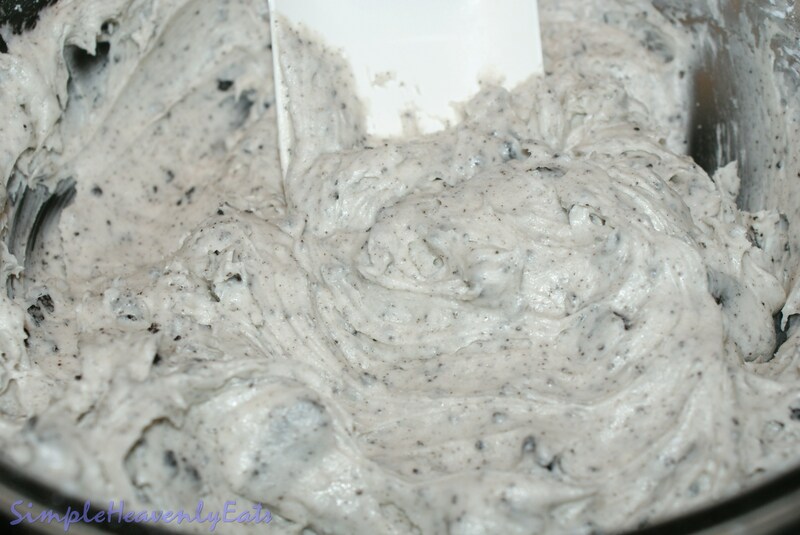 Add the oreos and mix on low until blended well, don’t completely crush all the cookie, just mix real well. When cake is cool place a layer of frosting on top of one of the cakes. Top this with the other cake. 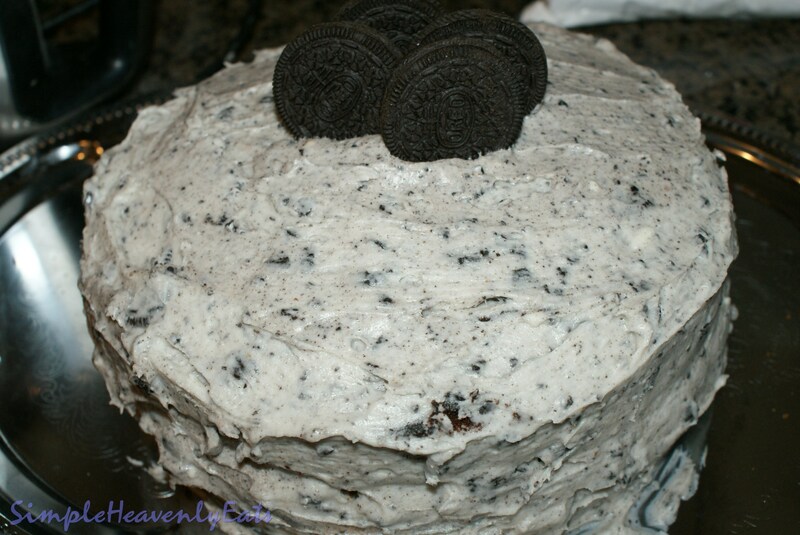 Now frost the whole cake until frosted well. 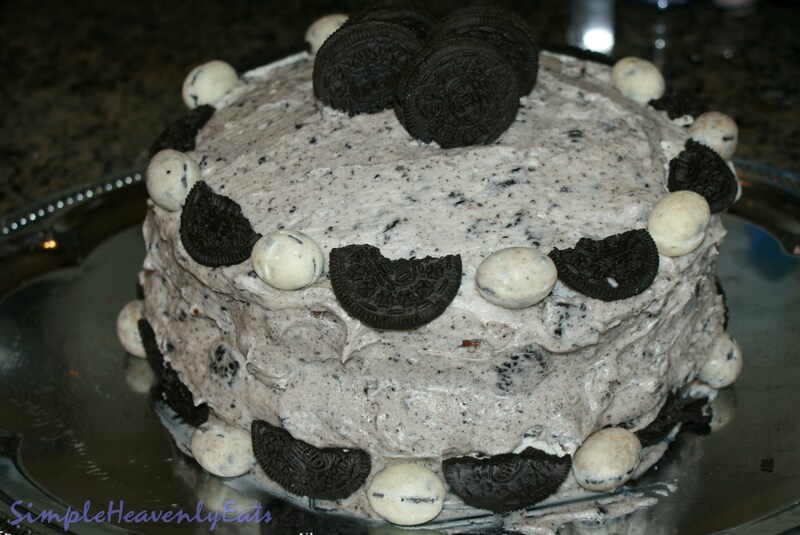 Place 4 whole oreos on top in the center. 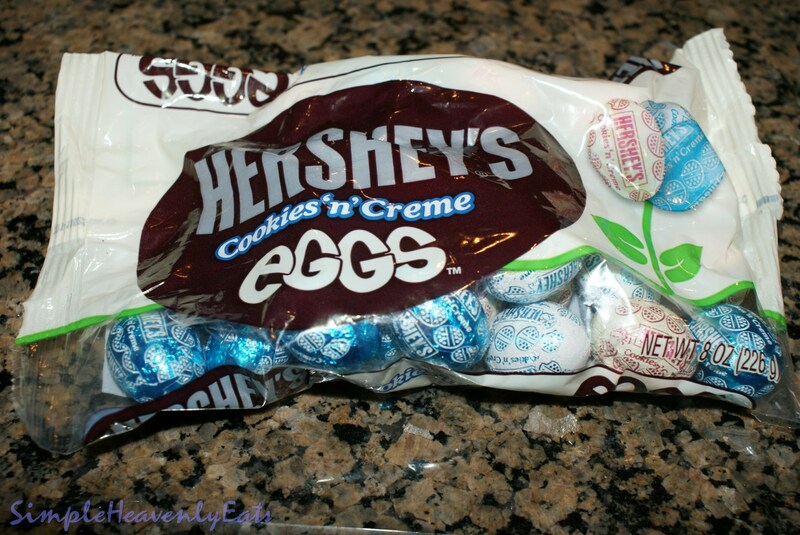 Break a bunch of oreos in half and pull them apart. 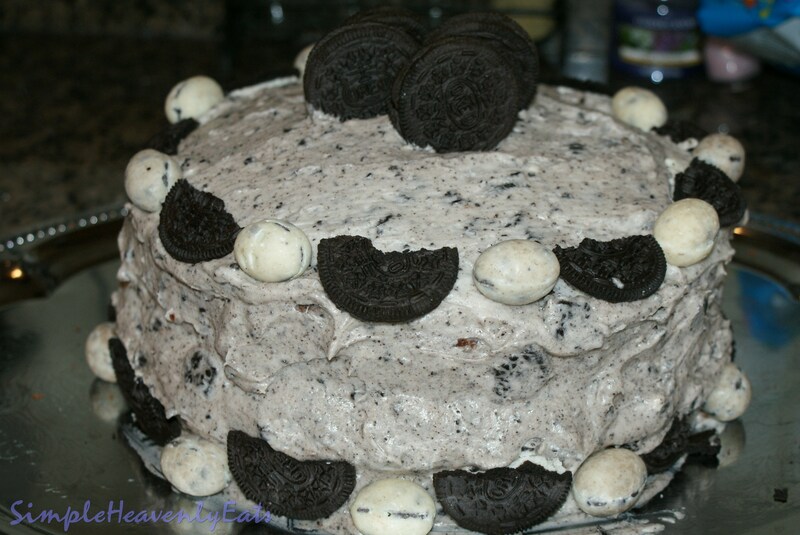 Circle the cake with Oreo halves and cookies and cream eggs around the top and bottom of cake. Now dig in and enjoy. But first make sure you “like” my Facebook page Simple.Heavenly.Eats!